At the Bluebird Inn (built in 1882) in Bickleton, WA, you can get a Bluebird Burger with beef, turkey, ham, bacon, a fried egg, and I don't know what else. It goes on forever. 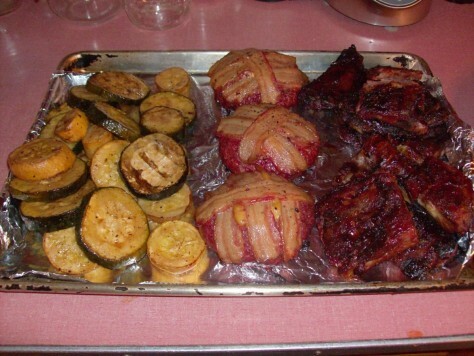 The famous cheese stuffed, bacon wrapped, slow smoked, 1 pound cheeseburgers from the grill. Swiss cheese inside, thick cut bacon over a one pund patty of pure 80/20 Angus beef. The Gangsta Burger at the Rice Street Deli in St. Paul, MN - three 6 oz steaks, two ½ lb burgers, a half-pound of Italian beef, a half pound of Gyro meat, 3 slices of swiss cheese, 3 slices of American cheese, tzaziki/cucumber sauce, and whatever garnish you want (lettuce, mayo, ketchup, onions, etc.) And when I say it’s heaped, I mean it’s heaped – it actually takes two people to make it (I don’t mean cook it, I mean assemble the thing into a tower). 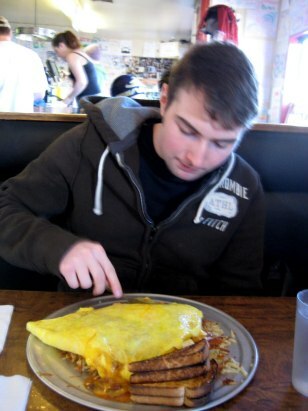 This is a 12 egg omelet known as the Southwestern Exposure from Seattle's Beth Cafe, which is filled with hash browns, chili, salsa, and sour cream. Served on a pizza pan along with toast. 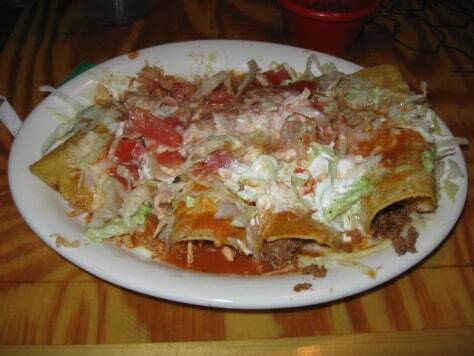 It was featured on Man vs. Food on the Travel Channel, and their host could not finish it. However, on my 21st birthday (after a long night) I ate all of it in under 45 minutes! 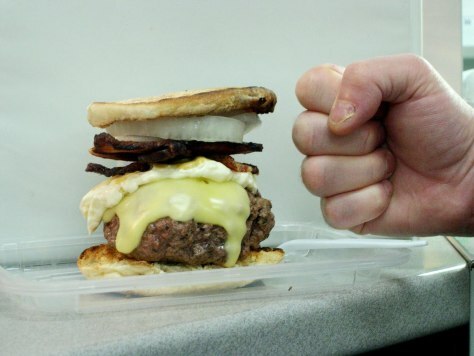 This burger consisted of 3 bacon stuffed grilled cheese sandwiches for buns; two 1/2lb. 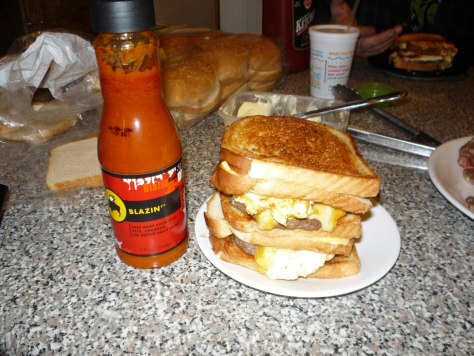 burger patties topped with cheddar, colby jack, and a fried egg each; Total ingredients were 6 slices of white bread, 1/2lb. of bacon, 1lb. of ground chuck, 8 slices of colby jack cheese, 2 slices of cheddar, 2 fried eggs, and 1/2 stick of butter for a total of 4800 calories! This was by far the best tasting, most unhealthy burger I have ever eaten!! 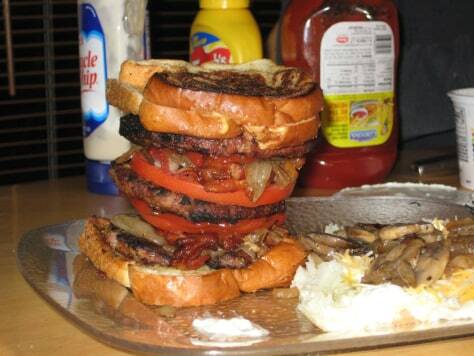 This homemade hamburger has 3 patties that are 1/2 lbs each with 6 slices of thick cut bacon, half of tomato, grilled onions and mushrooms and to top it off was made with a grill cheese sandwich for each of the buns. It was wonderful!!! Nonuple Whooper with cheese and "diet cola". 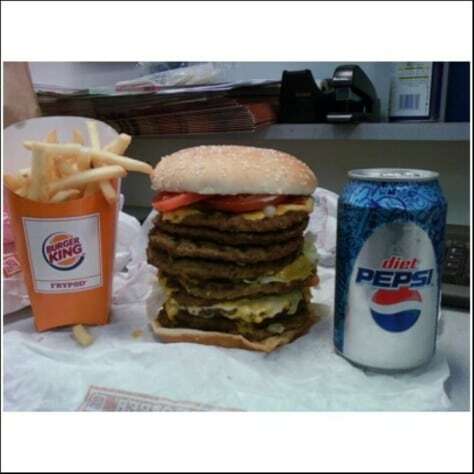 I created this using 3 triple whoppers. Thats over 3 pounds of meat. 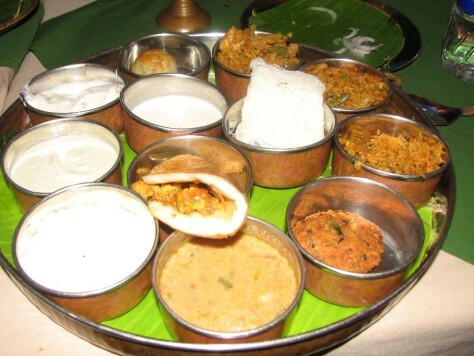 The plates just kept coming!!! 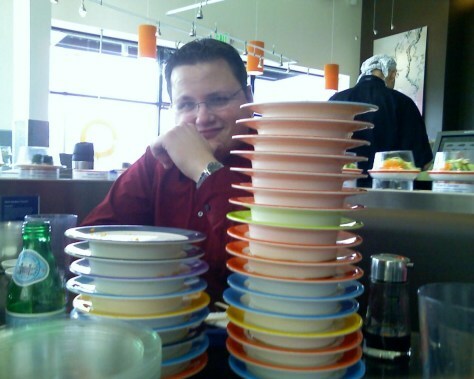 72pc of sushi in 30 minutes! 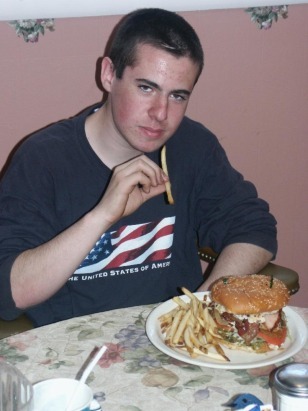 This was a 40 pound burger I made for birthday back in 2005. 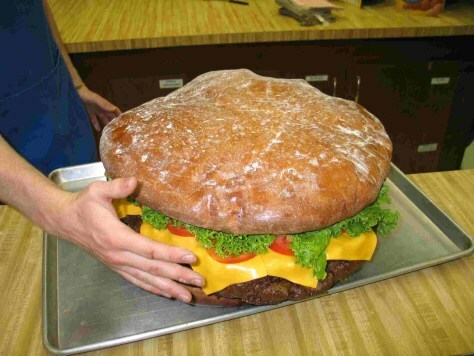 The patty alone weighed 24 pounds. Friends helped me flip the patty over a special made charcoal grill. It took and hour and a half to cook. 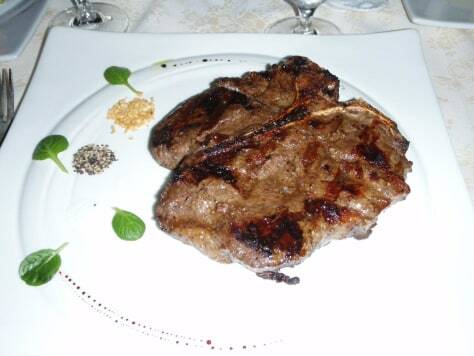 I was on a cruise to mexico when I ordered a steak and this gut buster worked its way to my table. 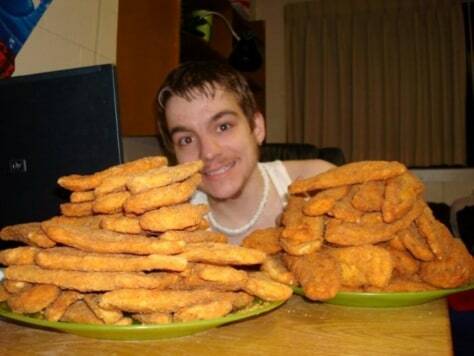 Chicken Fingers Galore - After a surplus from a presentation at a local college left organizers with too much food, I stepped up to the plate.